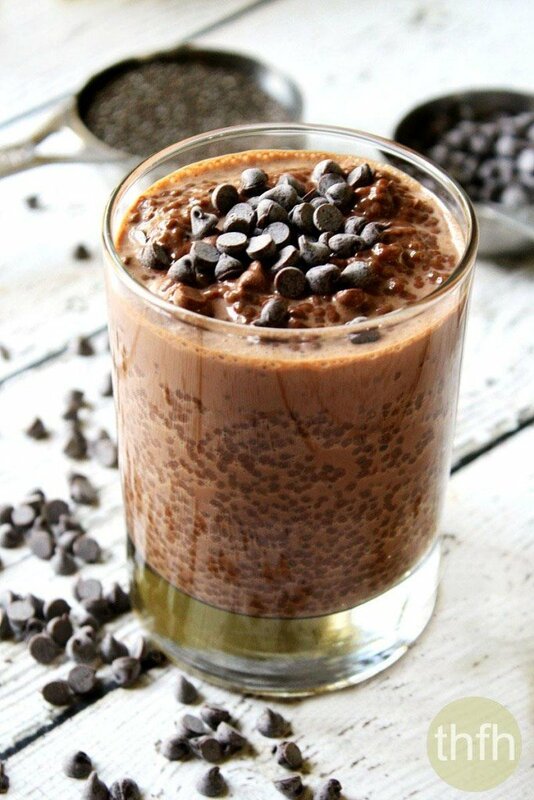 Vegan Chocolate Chip Chia Seed Pudding…a healthy, clean eating recipe made with only 4 ingredients and it’s “almost raw”, vegan, gluten-free, dairy-free, soy-free, egg-free, no-cook, paleo-friendly and contains no refined sugar. Well, my recipe today is about as easy as it gets and definitely fits the bill: 4 ingredients, healthy and a no-brainer! Chia seed pudding is something I make very frequently and enjoy because it literally takes less than 2 minutes to prepare. Some of the favorites I’ve made have been Pumpkin Spice and Pecan Chia Pudding, Vanilla Bean and Blueberry Chia Pudding, Pineapple Protein Chia Seed Pudding and Raspberry and Banana Chia Pudding. And although the chocolate version is probably the one I make the most, I’ve never posted it because…well, it’s really so un-original. So I decided to dress it up a little and added mini chocolate chips to make it a little different. It does make it a little sweeter with the chocolate chips so if you don’t want a really sweet dessert, you can always leave them out. I like to make mine either at night and leave it in the refrigerator overnight to have for breakfast in the morning, or make it in the morning and it’s ready for a mid-morning or afternoon snack. This recipe is organic, “almost raw”, vegan, gluten-free, dairy-free, soy-free, egg-free, no-cook, paleo-friendly and contains no refined sugar. Step 1 Add all ingredients to a mason jar, seal the lid tightly, and shake vigorously until all ingredients are combined well. Put in the refrigerator overnight or for a couple of hours to give it time to thicken. Remove from the refrigerator and stir everything together before serving. 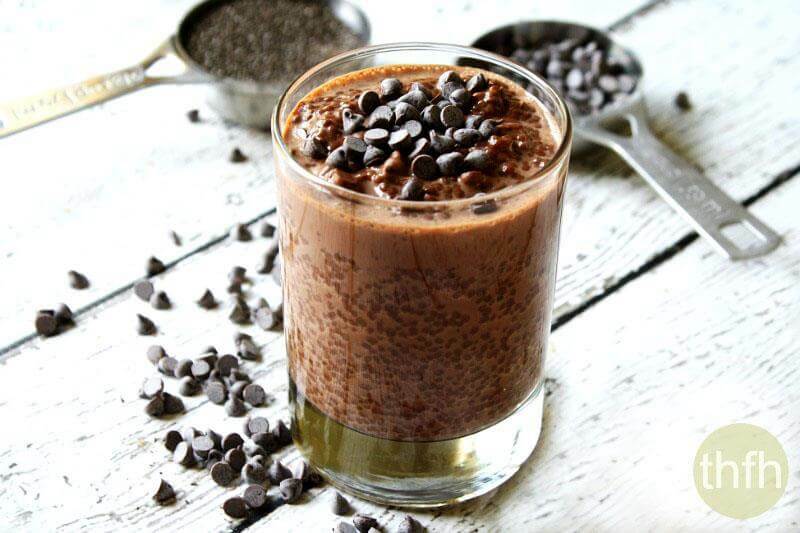 The recipe and photographs for "Vegan Chocolate Chip Chia Pudding" by Karielyn Tillman of The Healthy Family and Home website are licensed under a Creative Commons Attribution Non-Commercial 4.0 International License and cannot be used without my written permission. 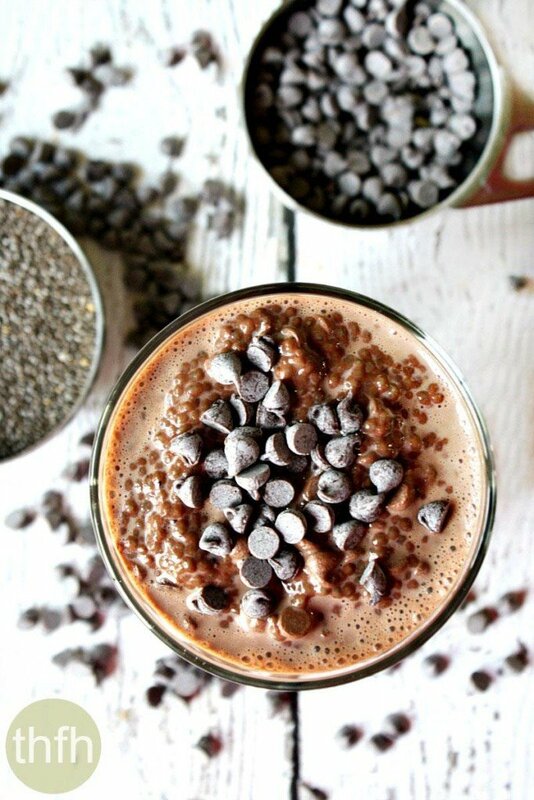 I LOVE chia seed pudding! This looks fantastic!